One of the most common food allergies is an allergy to gluten. Approximately 2 out of every 100 child and 3 out of every 100 adults have gluten allergies. Sometimes a gluten allergy is confused with celiac disease, which is sometimes called gluten intolerance. Celiac disease is an illness in which the body cannot process the protein, gluten, which is found in rye, wheat and barley. Celiac disease usually occurs in adults; a person with a gluten allergy would have many of the same symptoms as a person with celiac disease. 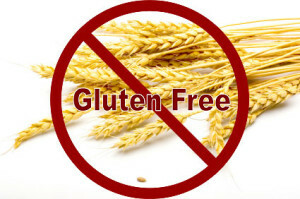 The only way to manage gluten allergy and celiac disease is to avoid all sources of gluten. 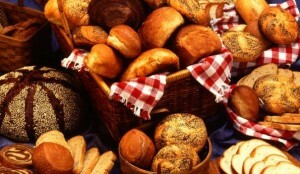 Before being diagnosed, most people think that bread, pasta, cold and hot cereals are making them sick. You might think you are allergic to wheat, but it is more likely that you are allergic to gluten. If you are allergic to gluten, other grains will make you sick also; gluten is in wheat, rye, and barley. 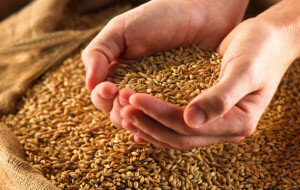 If you are allergic only to wheat, then the other grains would likely not bother you at all. If you have a gluten allergy, you have to avoid gluten. You know to stay away from bread, noodles, pasta, but you may find it rather difficult, in the beginning, to avoid all sources of gluten. You already know that wheat, barley and rye are off limits, but did you know there are other forms of wheat with different names? If you have a gluten allergy, you need to read labels and look for words such as graham flour, farina, semolina, bulgur, kasha, kamut, spelt, and matzo meal. Gluten hides in other places also. Before you buy a bottle of soy sauce, make sure it is free of gluten. When eating out at a restaurant, you might better bring your own soy sauce that is gluten free. You probably won’t find the word “gluten” on a food label, so it is important to know the grains that contain gluten. There are foods that sometimes have gluten added to them. Soybeans do not have gluten in them, but gluten is sometimes added to soy sauce, and soy milk. Many of the big grocery stores, like Kroger, have grocery aisles containing foods for special needs. They may have many gluten free foods. You can purchase gluten free foods at health food stores, and you can go on the Internet to search for gluten free foods. Beer is made from barley, and it contains gluten. If you would like to enjoy a beer, you can buy several kinds of gluten free beer online. Gluten free beer is more expensive than regular beers; if you enjoy beer the price you pay for it is worth it. A gluten free diet can seem very restricting at first, but it isn’t so bad when you learn how to substitute with other types of grain. You can go online to find recipes to make delicious gluten free meals. For recipes that call for flour, you can use potato flour, corn flour, soy flour, tapioca flour, white rice flour and brown rice flour. Most of these flours are perfect to use as thickening agents for sauces and gravies. For thickening agents, you can use corn starch. If you want to use corn meal to make bread other than cornbread, you can mix it with potato flour, rice flour and soy. You cannot use kamut or spelt flours, because they are forms of wheat. If you like white or French bread, you can combine a mixture of soy flour and tapioca flour. You can also make a great white bread with potato flour. If you add a little tapioca flour to the potato flour, it will give the bread a nice firm texture. You can make pie crusts with these flours. It is a good idea to take the time to practice using the different kinds of flours and implementing them into your recipes. Tapioca is also a very good thickening agent for apple pies and cherry pies. Once you know how to substitute gluten free flours, you can use them in any recipe to make gravies, sauces, bread, pasta, and pastries.